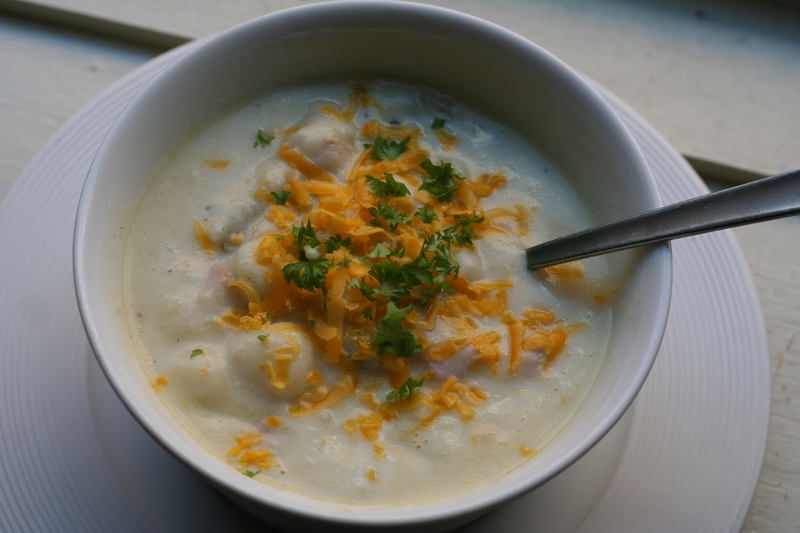 Every winter I looked forward to my mom making a huge vat of this soup – it’s definitely one of my favorites. 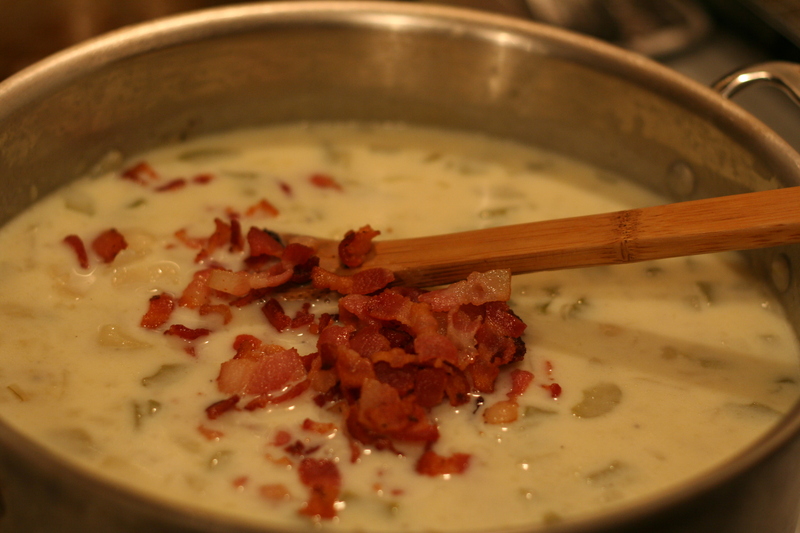 Even calling this dish soup seems silly considering there are carbs on top of carbs and then BACON. It’s super hearty and makes awesome leftovers. 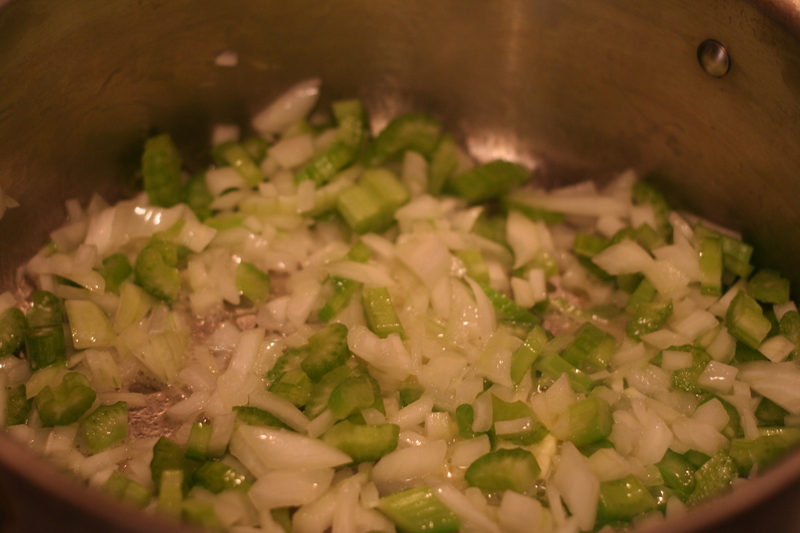 Start by melting 2 tbs of butter over low heat and add the onions and celery and cook until soft (not brown). 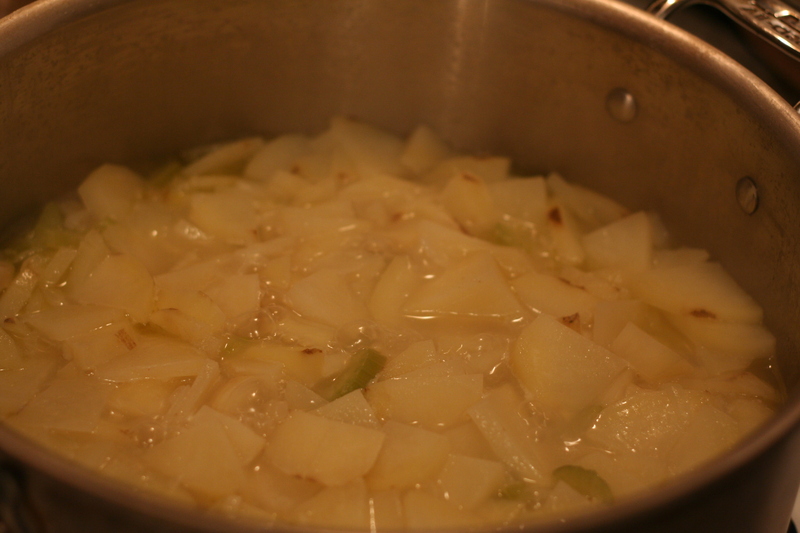 Add the potatoes (peeled and sliced thin) with 3 cups of water. Bring to a boil, cover and turn down to a simmer. Cook for 25 minutes. 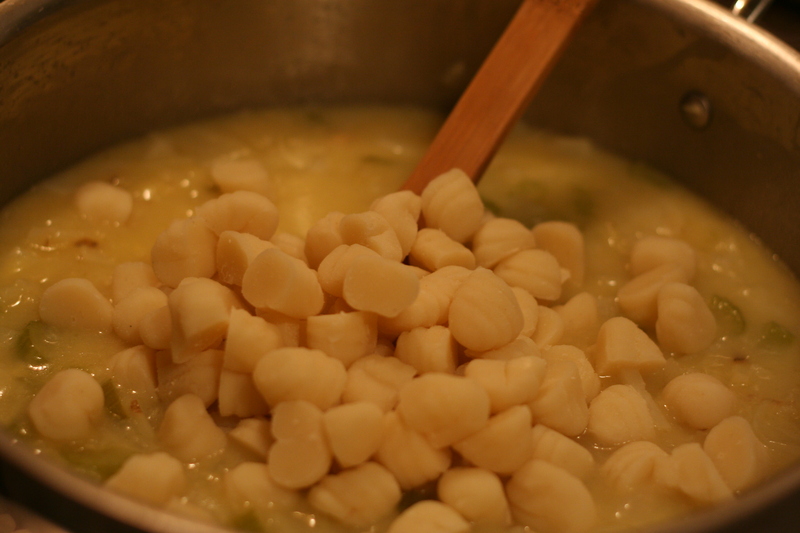 Then stir in 1 1/2 cans of cream of chicken soup and the gnocchi. Cover and cook another 10 minutes. Then stir in 3 cups of milk, the sour cream, the cooked and chopped bacon, and the salt and pepper to taste and cook until heated through. Top with shredded cheddar and parsley or chopped chives for garnish. EAT!